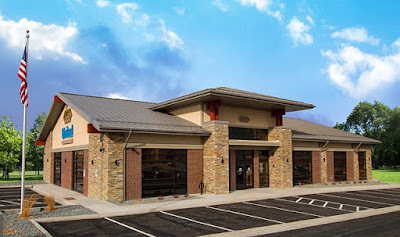 United Federal Credit Union (UFCU) will mark the opening of its Asheville, North Carolina branch with a slateful of activities including complimentary coffee and doughnuts for the public on Monday through Friday morning of next week. Meet our staff and learn about UFCU’s full suite of business banking products. Our business advisors will take the time to get to know you so they can give you the expert financial advice you need to help your business succeed. Come and meet Asheville Tourist baseball team members and their mascot. The Asheville branch is United’s fourth branch in North Carolina. There are also branches in Fletcher, Hendersonville and Statesville. United Federal Credit Union has served its Members since 1949 by helping them to build a sound financial future. UFCU consists of more than 140,000 Member/owners worldwide, and manages assets in excess of $2 billion. Its corporate offices and main branch are located in St. Joseph, Mich., with additional branches in Arkansas, Indiana, Michigan, North Carolina, Nevada, and Ohio.